With research we’re always on the lookout for patterns–some are obvious, but the ones we care most about are interesting. However, obvious and interesting don’t usually fall into the same group. 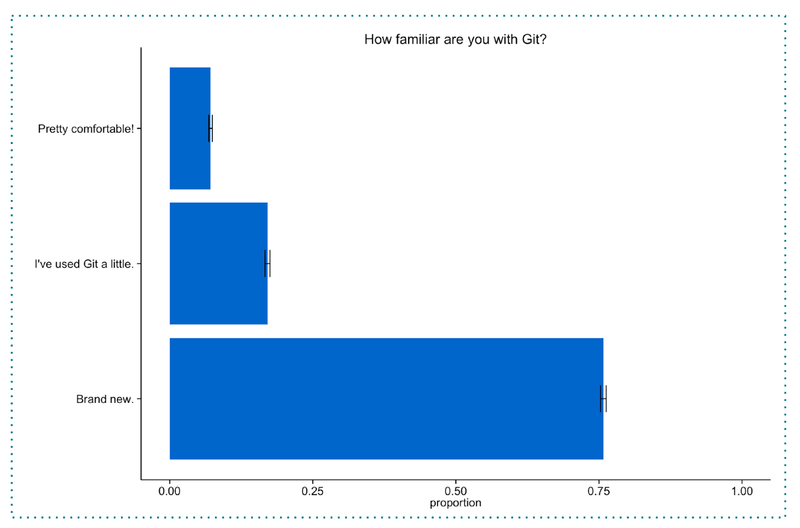 This post will cover an obvious insight, an interesting insight, and a technique to help you rethink your graphs. We can see a very strong pattern with the yellows and greens, which represent “nothing” (no prior experience with a version control system) and Subversion (SVN). 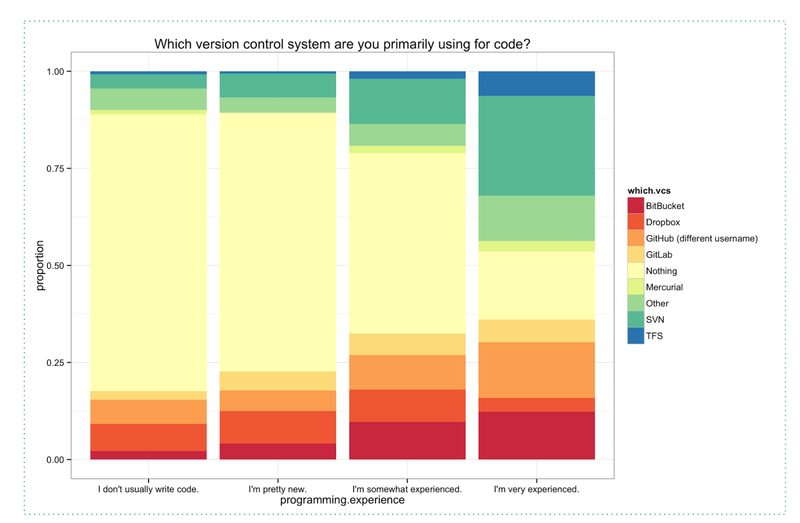 People who code very little or not at all are generally not using any other VCS. However, what’s less obvious and more interesting is that as programming experience increases, people become more likely to be using a VCS that’s not GitHub. What we see is that there’s an interesting shift from the second most frequent challenge, “Fear of making a mistake in front of an audience” among tenured users (17%) to, among new users, “learning programming skills” (19%). This insight supports a thesis statement we have that over the past three years people are increasingly coming to GitHub for practical reasons like skill-building and code hosting, rather than in search of the open source community. Wow, that’s really interesting. Research is better when you get to discover new things about the world with someone who has a different perspective — someone who is willing to challenge you.